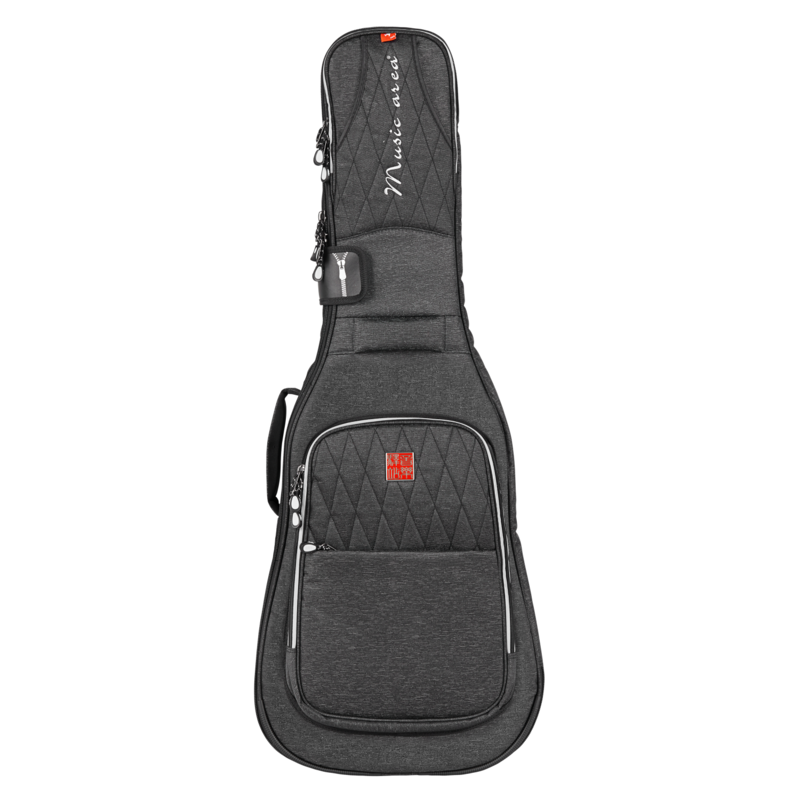 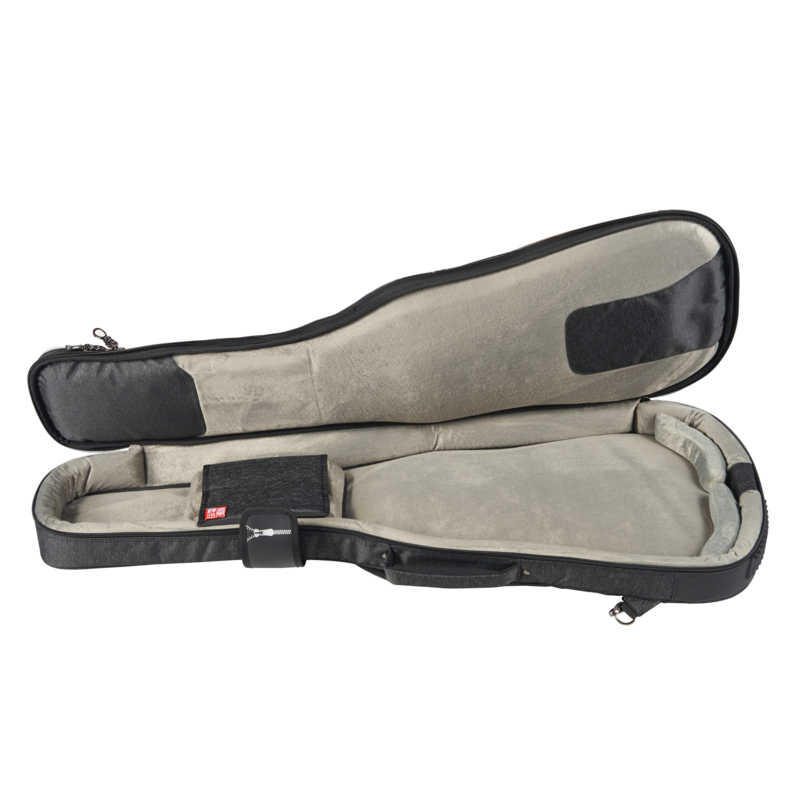 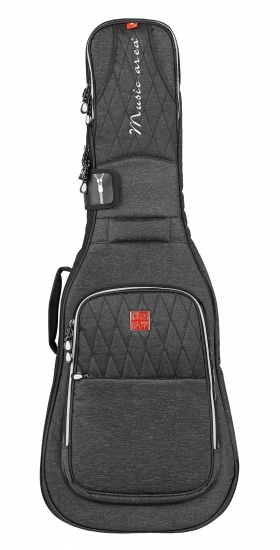 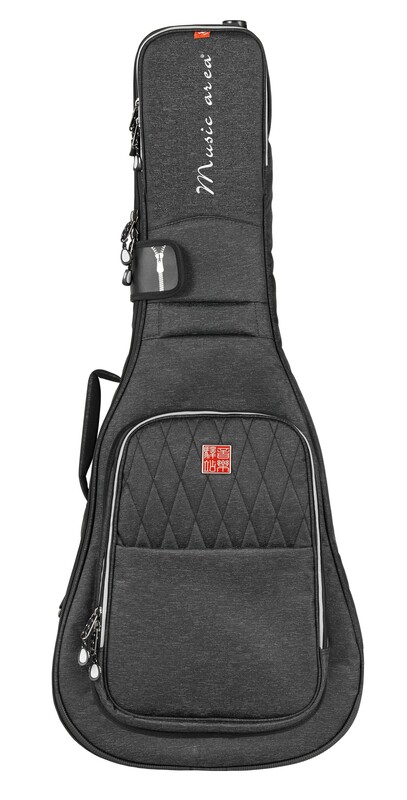 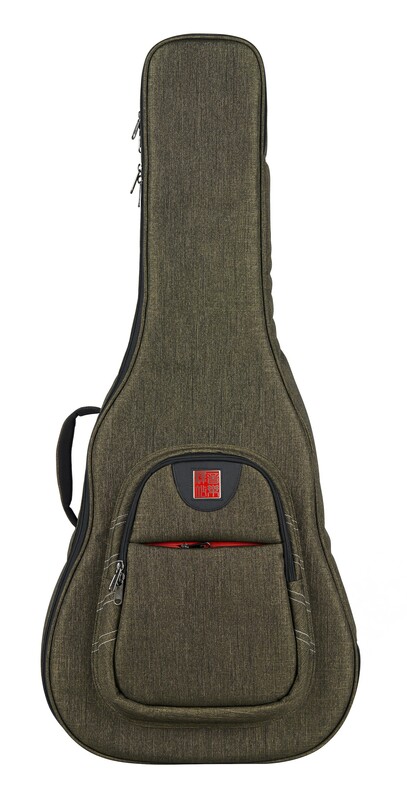 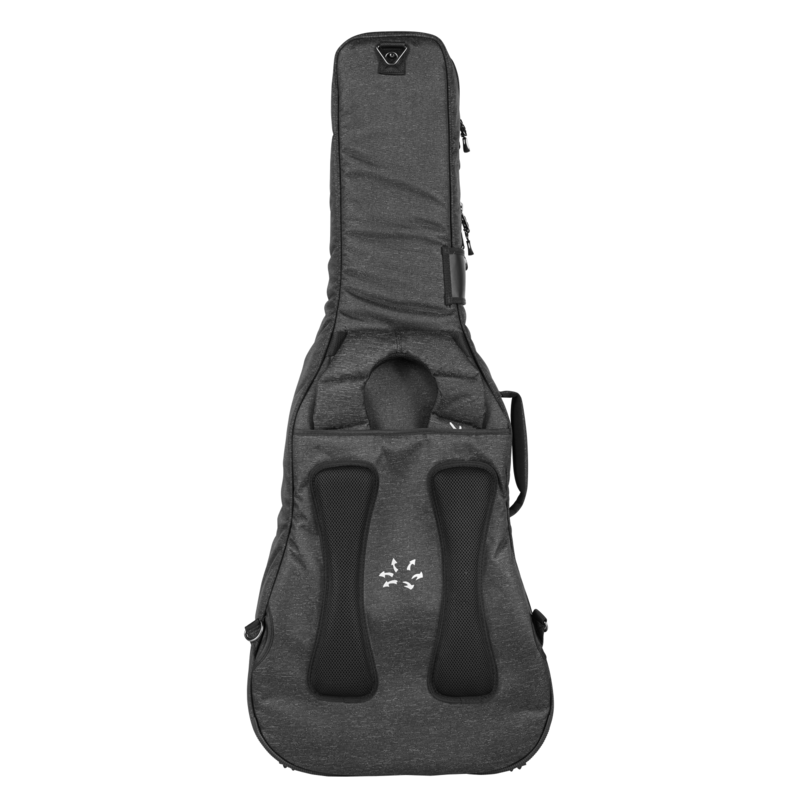 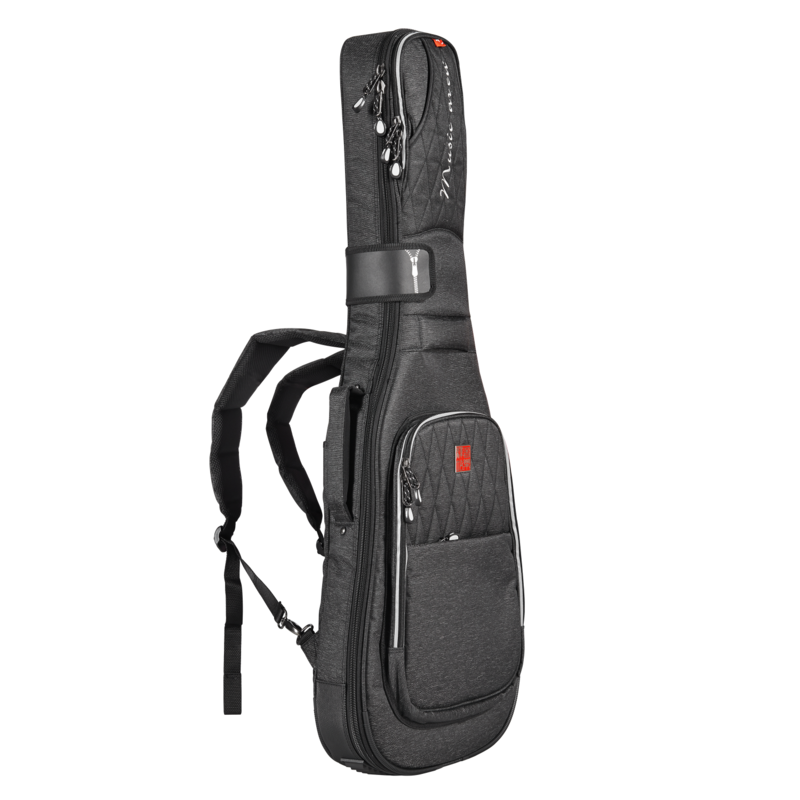 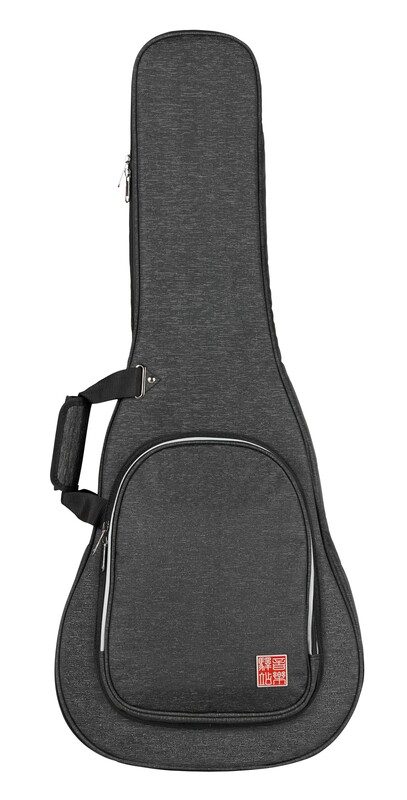 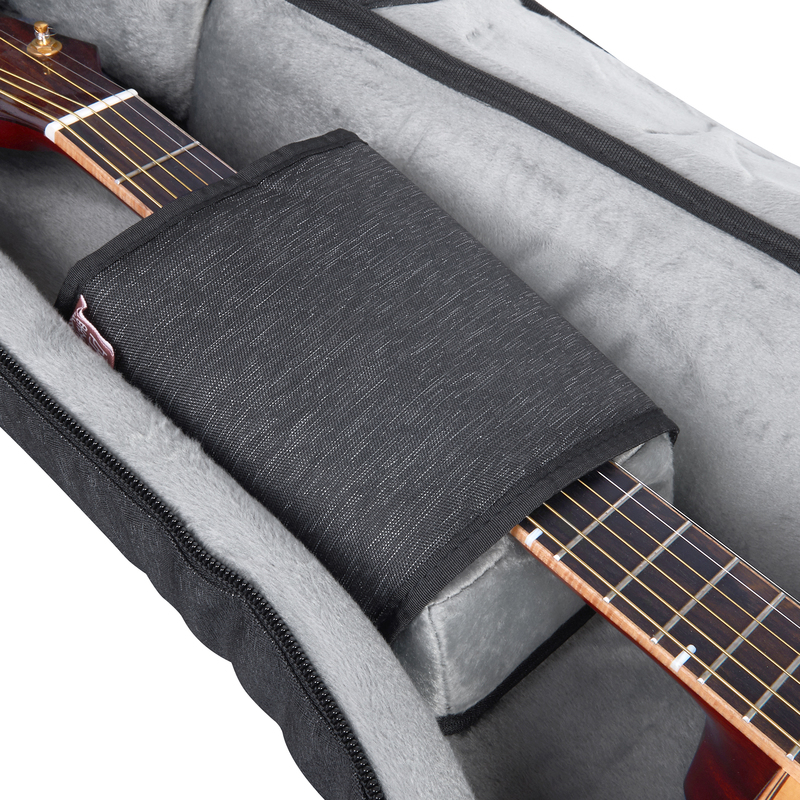 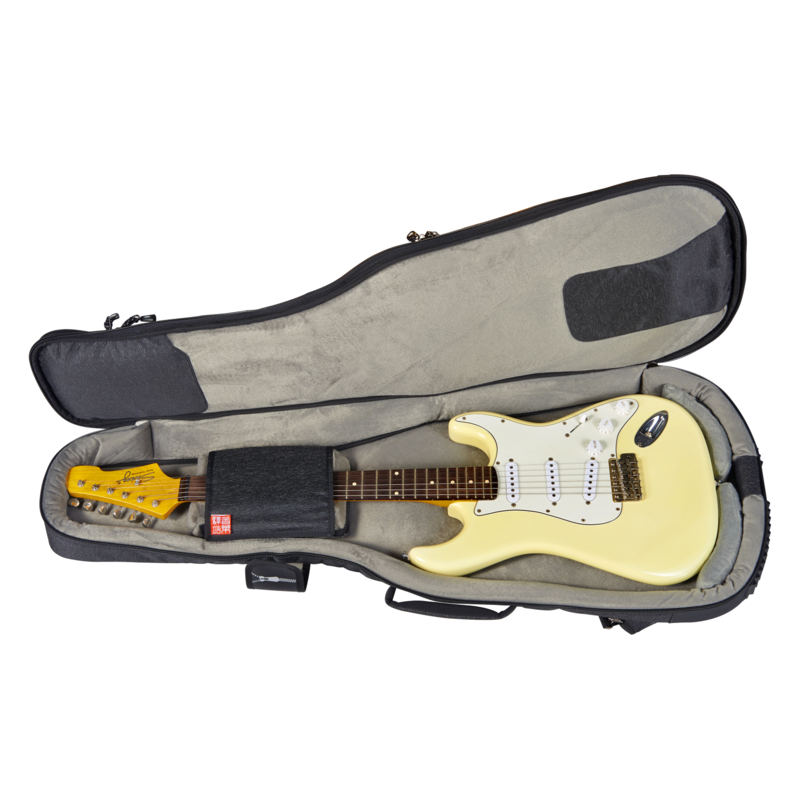 The case features a padded neck cradle to hold the instrument. 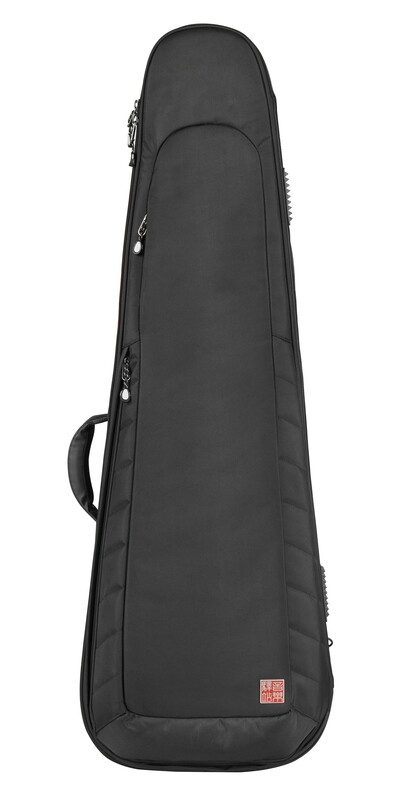 With this protection, regardless of any situation, your instrument is firmly in place and the headstock is fully protected against backward drops and side-to-side impact. 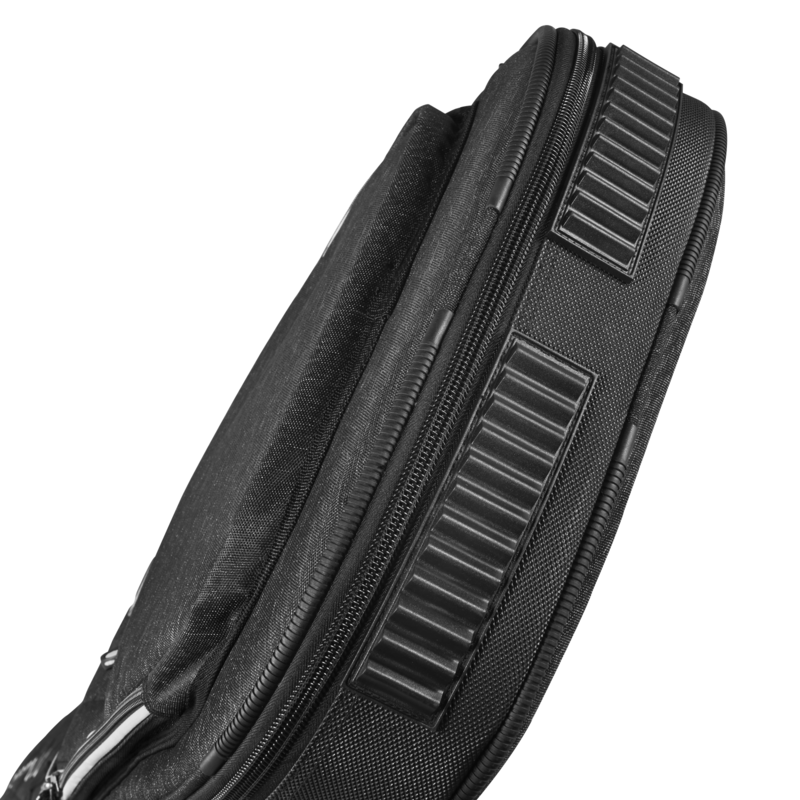 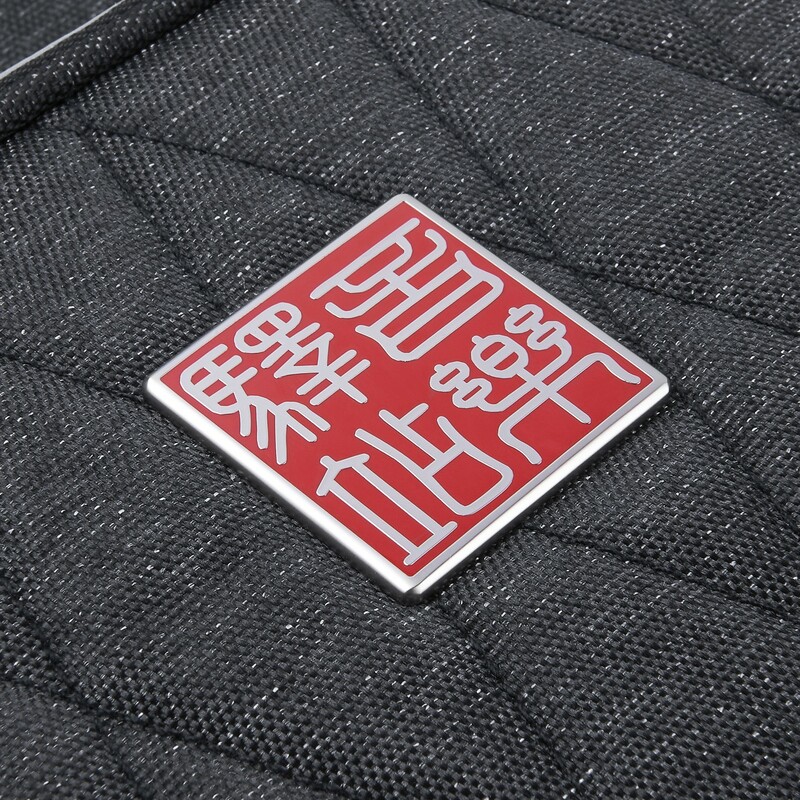 There are 2 pockets at the lower position of the case. 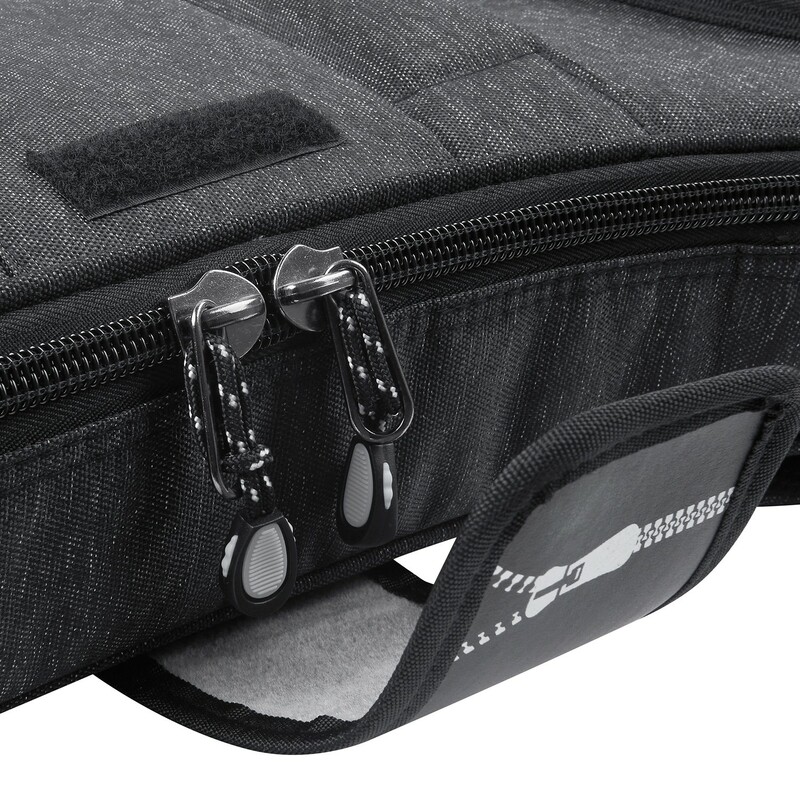 Inside the big pocket, there are 2 individual compartments, one is a net pocket with zippers and the other is a pocket with a velcro cover. 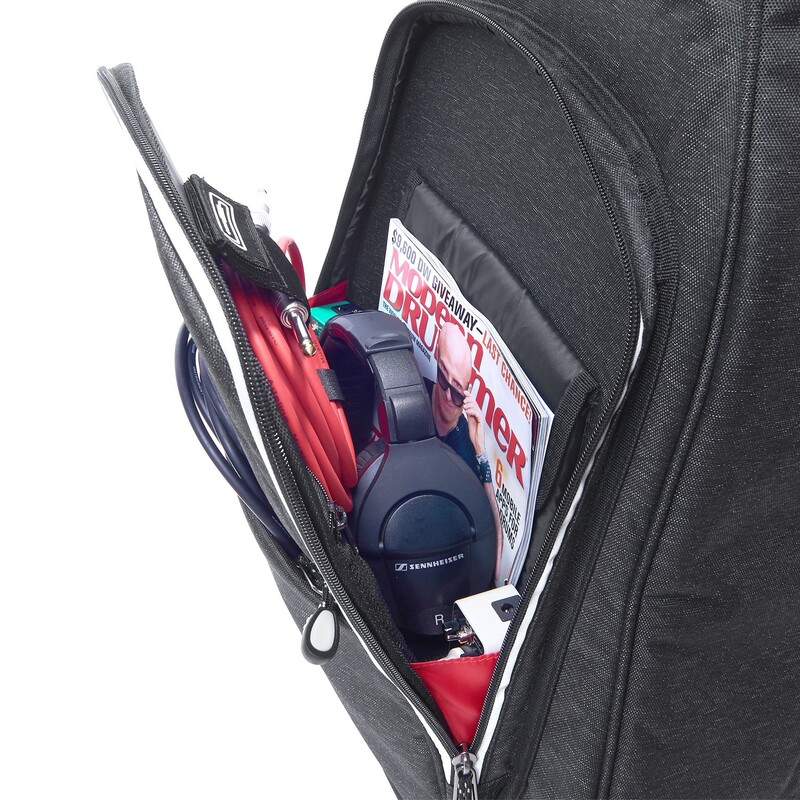 Moreover, there's a velcro specially for cables. 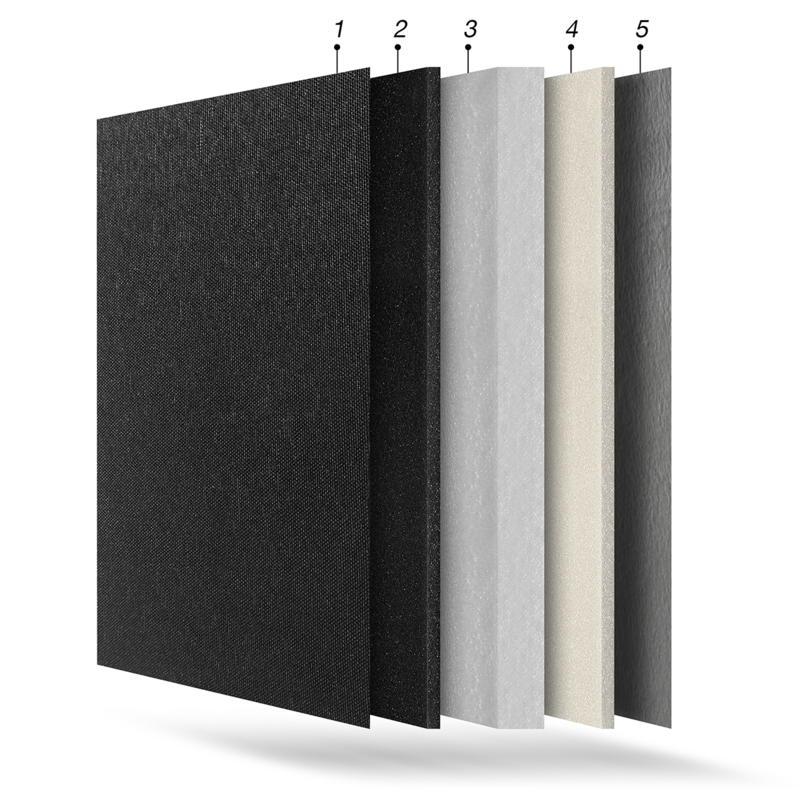 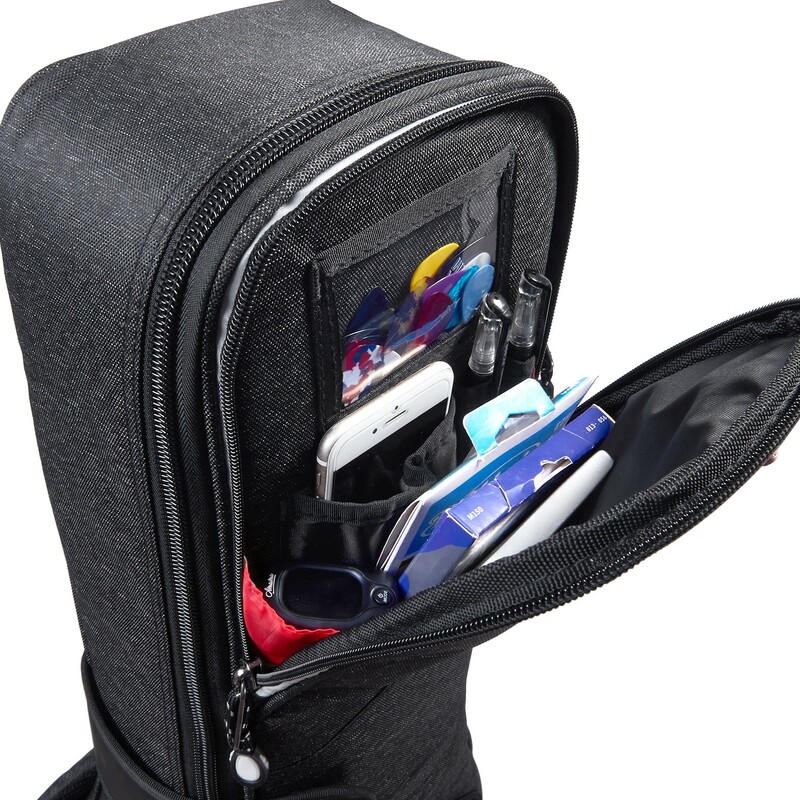 Inside the upper pocket, there are 4 small compartments which can store your cards, pens and phones. 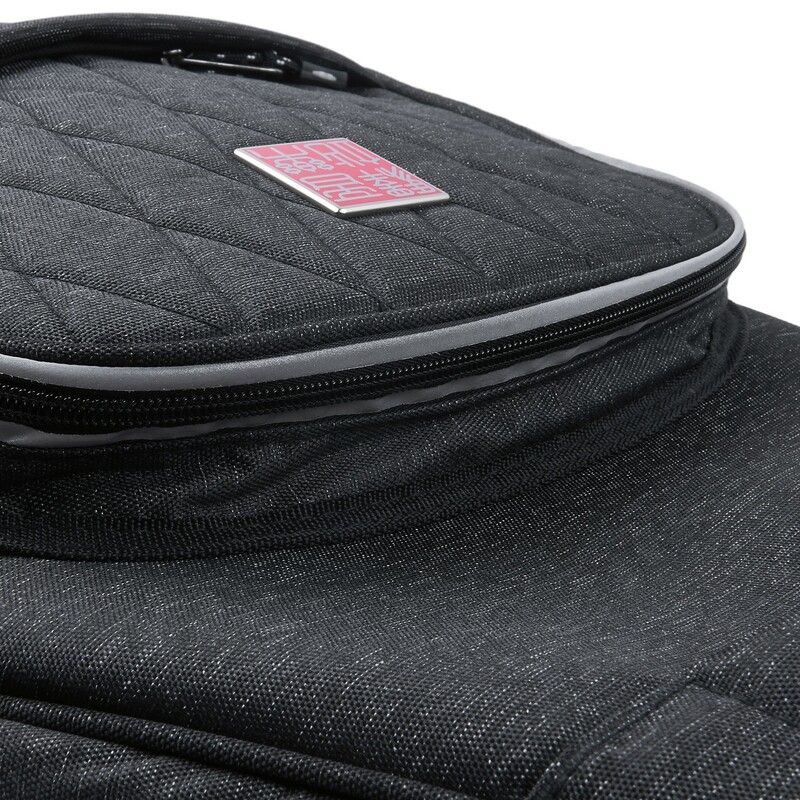 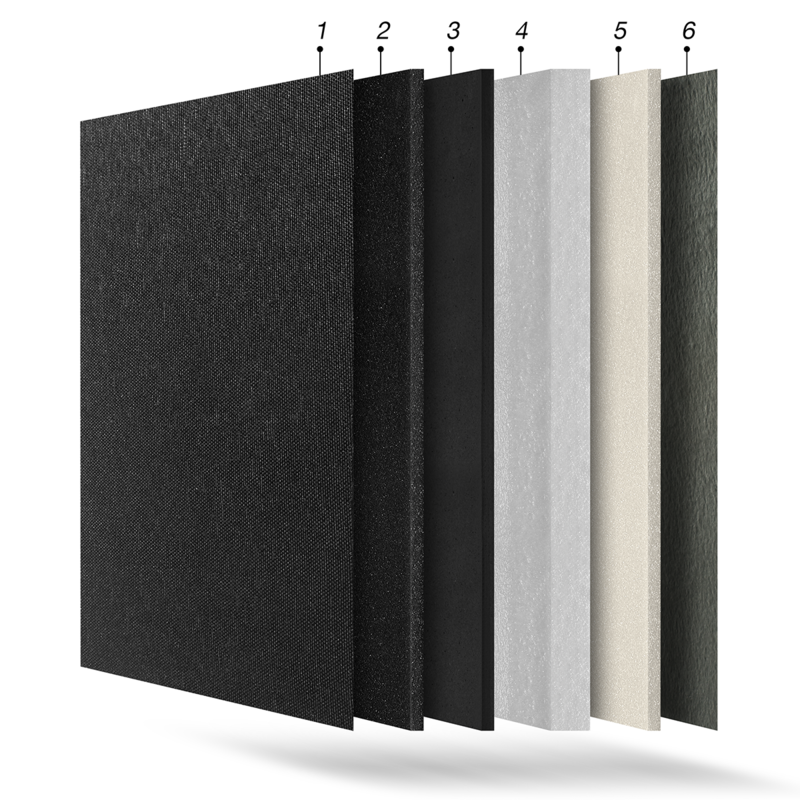 With independent compartments, you can well organize your items. 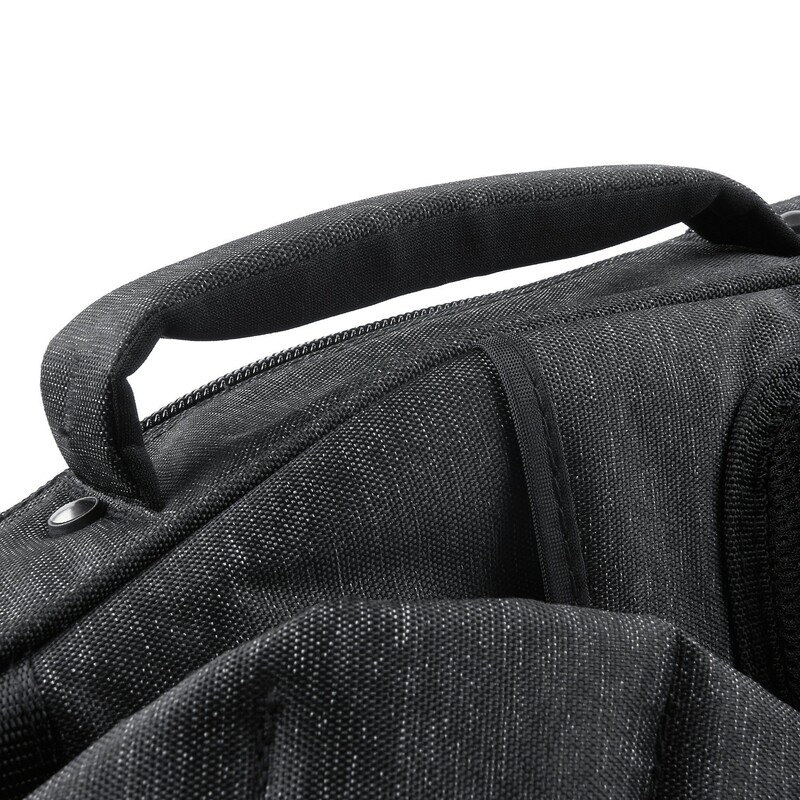 There is a pocket on the case back where you can hide the straps. 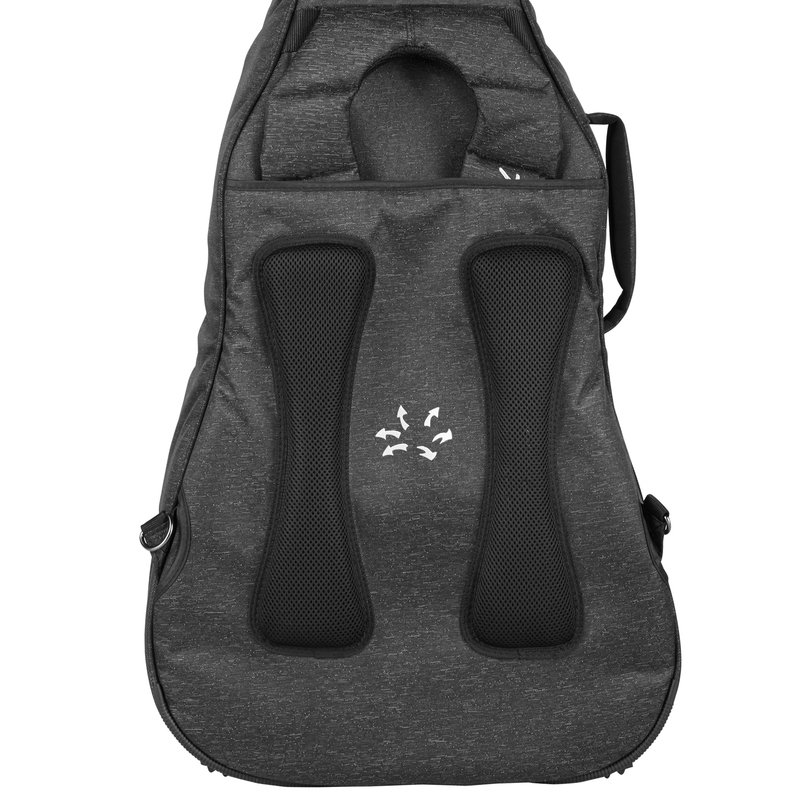 It prevents you from stepping on the shoulder straps and from falling off.The bone shaped mesh pads are soft and sweat absorbing.